Never underestimate the genius that is Jay-Z. Earlier today, the rapper, who recently added the hyphen back into his notable name, released a new commercial teasing his highly anticipated (and hyped) new album, 4:44, which drops on Friday. The 23-second commercial from Sprint and Tidal features striking imagery and a rather dramatic name, "Kill Jay Z," which is very likely a reference to Hova's recent name switch. 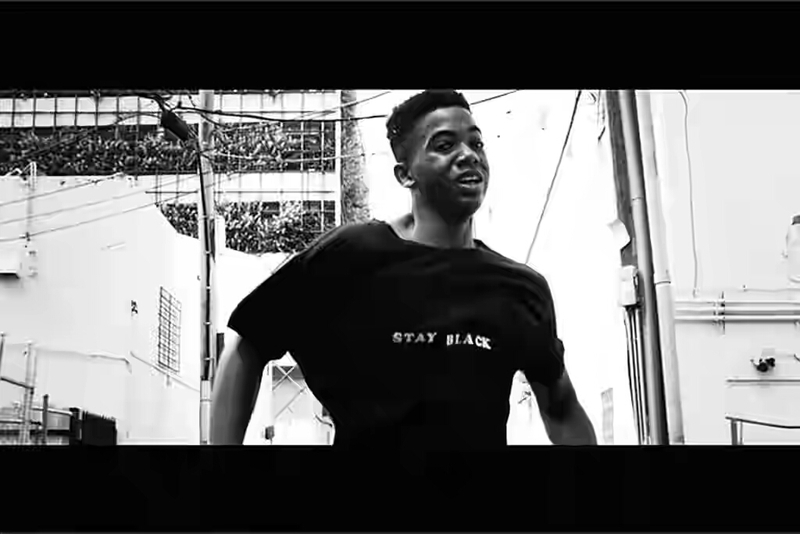 The "Kill Jay Z" clip shows an African American teenage boy, sweating profusely as he runs through and alley with a t-shirt that has the words "Stay Black" across his chest in white letters. Dramatic music plays as sirens can be faintly heard in the background. The teen appears as if he's running for his life. As previously reported by E! News, the 4:44 project—widely presumed to be a visual album—debuts June 30 via Sprint and TIDAL. It is rated NC-17. Jay-Z, who just welcomed twins with Beyoncé, owns Tidal and is the streaming service's figure head. In January, Spring paid a whopping $200 million for a 33 percent stake in the company. This isn't the only out-of-the-box advertising that the father of three has used to promote his latest musical endeavor. Earlier this month, billboards with the mysterious message "4:44" started appearing all over New York City, leading fans to speculate about a potential new project, which turned out to be real. As part of the U.S. campaign, Sprint and TIDAL have pledged support to the 1Million Project, an educational initiative that will assist 1 million low-income U.S. high school students who are not connected to the internet at home.